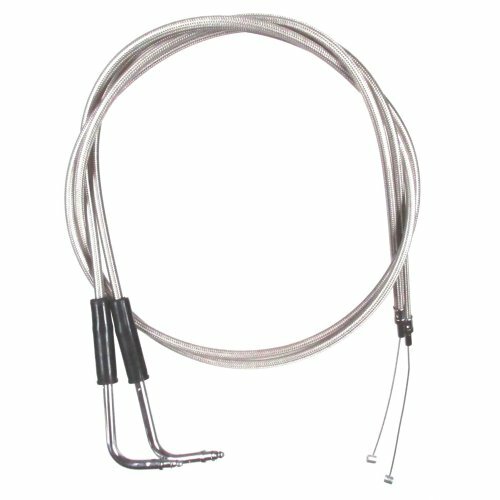 Your are buying a +2" extended length Stainless Braided Throttle Cable Set for 2001-2015 Harley-Davidson Softail Fatboy and Fatboy Low models.Made for us by Motion Pro, these cables features a Stainless Braided steel outer housing with a tempered-steel inner wire and an inner nylon sleeve for smooth operation and long life. The clear outer jacket protects your Harley from rub marks.The ends of the cable have a high quality chrome finish to complete the look. The Throttle Cable and Idle Cable housing lengths are 32 1/2" long. 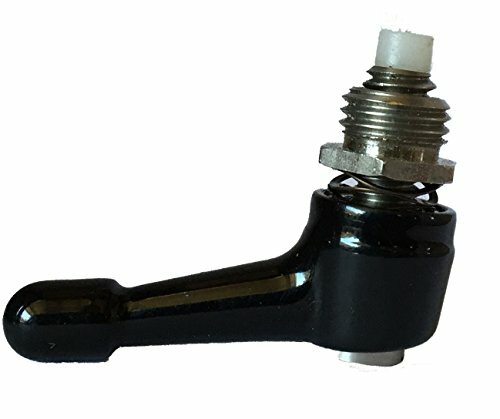 Housing lengths do not include end fittings or elbows. NOTE: You are RESPONSIBLE for being sure that this is the correct length of throttle and idle cable that you need before installing them. We will not pay for return or replacement shipping if you purchased wrong length of cables. We will not accept returns on these cables if they have been installed or returned to us in any condition other than brand new.We sell Throttle Cable sets, throttle cables and brake lines in Stainless, Chromite, Black Pearl and Black Vinyl finishes, in stock and extended lengths. We also have complete cable/brake line kits available as well as handlebar kits that include the bars, cables, brake lines and wire extensions in our store. 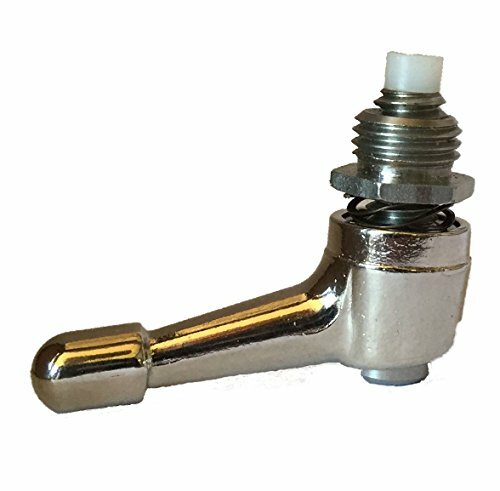 Designed for use with 1" handlebars ('74-'80 FX and Sportsters as well as '75-'80 FLH and FLT's with a single 1/4-20 external throttle cable.) -Includes a chrome plated cable housing clamp. Just like the originals. 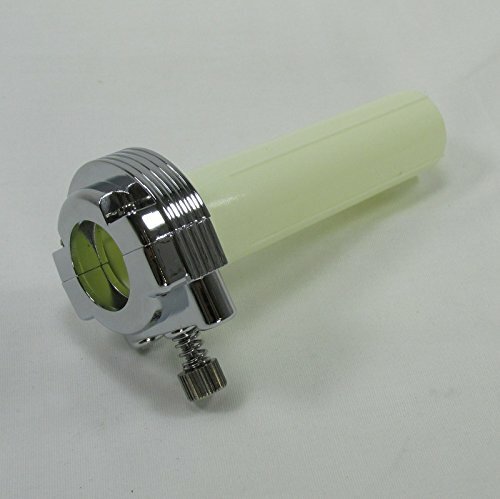 -Housing features a knurled throttle return tension adjusting screw. 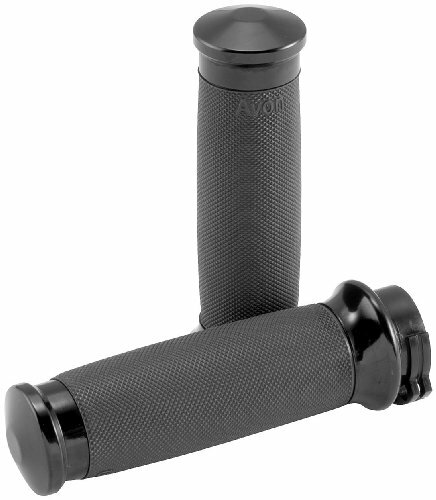 -Also comes with a durable nylon throttle sleeve. -We also offer kits for '81-'95 Big Twins and Sportsters with DUAL external cables. 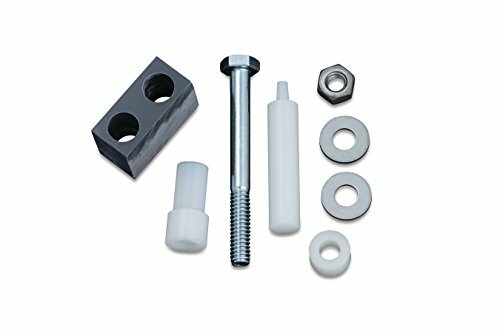 -Need NEW grips? Checkout our store to see the entire collection! Finish: Chrome Dimensions: Complete Assembly- 5'' x 2-5/8'' (Including Tension Screw) Cable Housing- 2'' x 1-7/8'' x 3/4'' Nylon Sleeve- 4-1/2'' x 1-1/8'' Fitment: Designed for use with '74-'80 FX Sportsters as well as '75-'80 FLH and FLT's with a single external cable. Designed for use with 1" bars - '81-'95 Big Twins and Sportsters with dual external cables. • Also fits models with aftermarket carburetors that require dual cables. 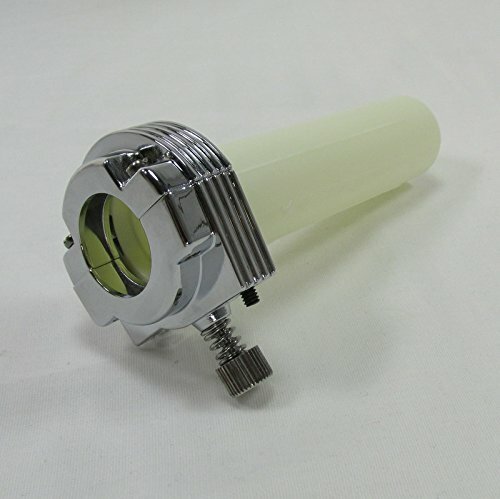 • Includes a chrome plated cable housing clamp just like the originals. 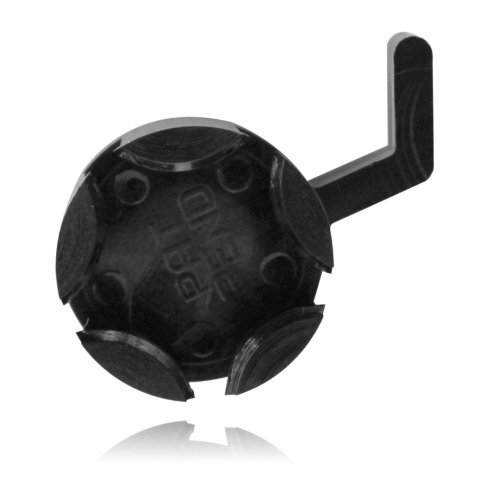 • Housing features a knurled throttle return tension adjusting screw. • Also comes with adurable nylon throttle sleeve. • We also offer kits for earlier model FX, FLH, FLT and Sportsters with a single external cable. 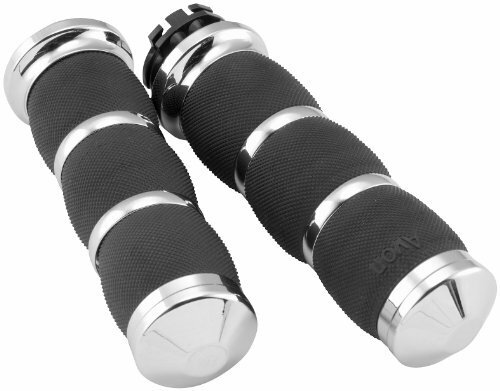 • Need NEW grips? Checkout our store to see the entire collection! Finish: Chrome Dimensions: Complete Assembly - 5-1/4" x 2" x 2-5/8" (Including Tension Screw) Cable Housing - 2" x 1-7/8" x 3/4" Nylon sleeve - 4-3/4" x 1-1/8" Fitment: Designed for use with '81-'95 Big Twins and Sportsters with dual external cables. Also fits models with aftermarket carburetors that require dual cables.